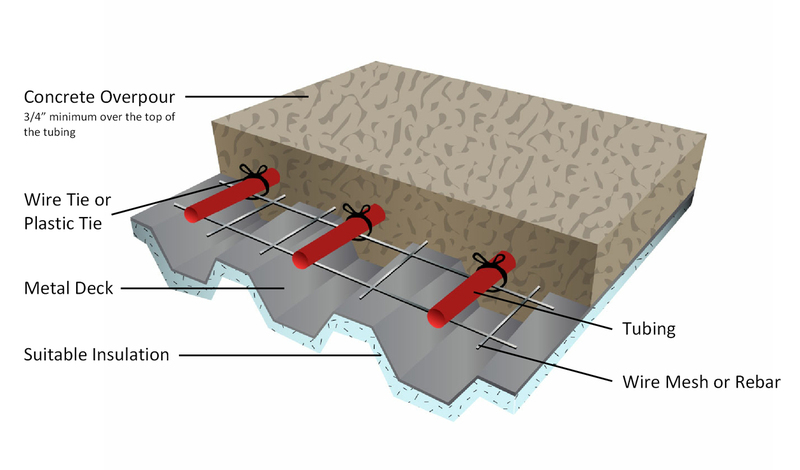 Embedding your radiant heating system into a concrete slab is one of the most cost effective ways to install it and most energy-efficient, being that concrete is a great thermal mass. This is the best choice for new construction and areas receiving new slabs. 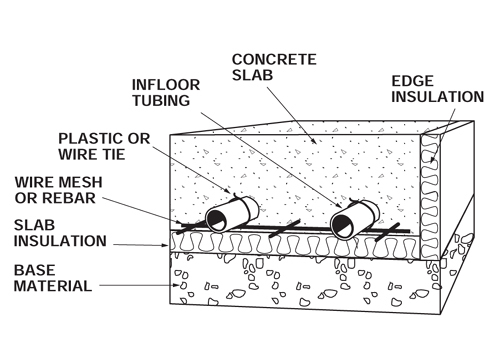 If you will be using a concrete slab or basement slab, it is important to utilize the exterior perimeter insulation, as well as under slab insulation. The tubing is attached to a 6×6 welded wire mesh using plastic or wire ties. The tubing inches on center should be determined by a calculated heat loss.